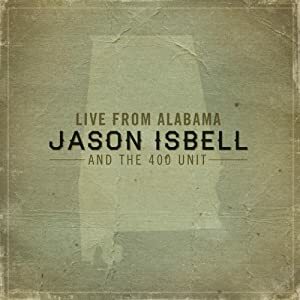 Jason Isbell left Drive-By Truckers to strike out on his own, fronting a new band called The 400 Unit and Live From Alabama marks their first live album after three successful studio releases, the most recent Here We Rest drawing widespread acclaim. The Green Hill, AL native recorded shows in Birmingham and my current hometown of Huntsville and from those shows we have these 13 songs featuring two covers and 11 Isbell originals. 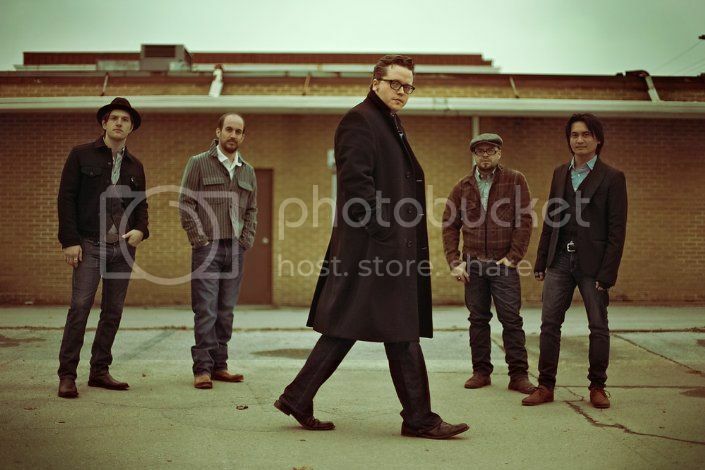 Of the Isbell originals, two come from his time with DBT including the title track from their Decoration Day LP as well as another song from that album ("Outfit"). Isbell has emerged as another in the line of great Southern storytellers littered with references to small towns and local landmarks I've seen and know and he spins these tales with a rock and roll sound infused with a heavy dose of Southern soul. His lyrics paint portraits of an insider at home in his own skin but not quite as at ease with his surroundings. It's got the heart of some of the great outlaw country: tales of a Southern man deeply rooted to home and yet those deep roots keep him connected to something and somewhere that doesn't always fit- so it makes sense to take songs about being uncomfortable at home out on the road and make a live album out of it, just as it makes sense for him to record that live album over the course of two show in Alabama. The warmth in his vocals reveal the love of home while his lyrics often convey the contradictions and a degree of ambivalence. This is most obvious on songs like "Alabama Pines," "Tour Of Duty," and "Dress Blues." All three of the characters in these songs return home after time away, albeit not in the same way. We don't know what took the character "Pines" from home but something has called him back home. Everything around him is familiar and fits but as Dylan sang on "Mississippi," this man realizes "you can come back but you can't come back all the way." He's home for good, for better or worse. "Tour Of Duty" and "Dress Blues" are stories of two soldiers returning home, one alive and one dead. Isbell deftly pens patriotic protest poems. He may not share all the values and mindsets of the people he grew up with and around but he doesn't look down on them, either. He's able to capture the people and the feelings sincerely- even when he sincerely disagrees. He can question or oppose without dismissing notions of valor, bravery, duty, or sacrifice or dismissing what those values mean in the lives and identities of the characters in his chosen settings. "Tour Of Duty" is a narrative of a soldier readjusting to civilian life, once again sketching an insider who has been away trying to reconcile the ways he's changed and been changed with a place that hasn't. "Dress Blues" is one of the most heartbreaking, gripping stories of a soldier killed in combat, this one inspired by the the death of fellow Green Hill, AL native Matthew Conley. Isbell captures the tragedy of the unfulfilled dreams of a life cut short, the instinct to canonize and glamorize the fallen, and the grief and helplessness of a small town touched and overcome by events half a world away. This elegaic story implicitly asks the question: was it worth it? Isbell tips his hand and indicates he doesn't think so but the question lingers long after the song ends, just as it will every time someone dies in another damn war. His catalog extends beyond songs of the South and soldiers' tales and Live From Alabama gives a good cross section of that, deliving into tales of love gone wrong and long days and nights spent at the bottom of a bottle. Isbell's voice and songs are the stars of this show but his backing band the 400 Unit provides ample muscle for the classic rock underpinnings of many of these songs, just as they do on record. Longtime fans and followers will enjoy this record as it brings together a nice cross-section of his work and it would be a solid introduction for newcomers as well. Let's hope there are many of the latter as Isbell is a talent whose work deserves and demands to be heard.